A squircle is a mathematical intermediate between a square and a circle (and a portmanteau of the words ‘square’ and ‘circle’). One “secret” of Apple’s physical products, Stanton explains, “is that they avoid tangency (where a radius meets a line at a single point), and craft their surfaces with what’s called curvature continuity.” In side-by-side hardware shots, it is easy to see how the dynamic approach informs shapes and eliminates sharp transitions between flats and curves. The distinction is reflected in Apple’s software as well, where iOS icons have gone from being rounded rectangles (or: roundrects) to squircles. It doesn’t really make much of an on-screen difference, but it does bring hardware and software designs into alignment. In turn, this has implications for anyone designing icons for Apple devices and interested in implementing precise details, like uniform borders. So why aren’t squircles everywhere? 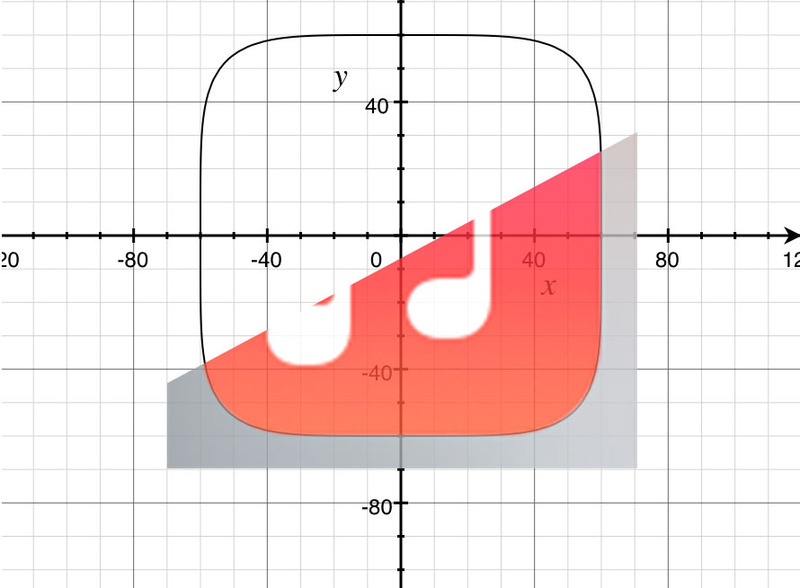 For one thing: a squircle involves complex curves while a rounded square is easy to define, draw and model — flat edges for the sides, simple curves for the corners. These days, squircles are easier to make and can be found in more and more graphics and objects. The shape also has some advantages for physical products beyond handheld devices. 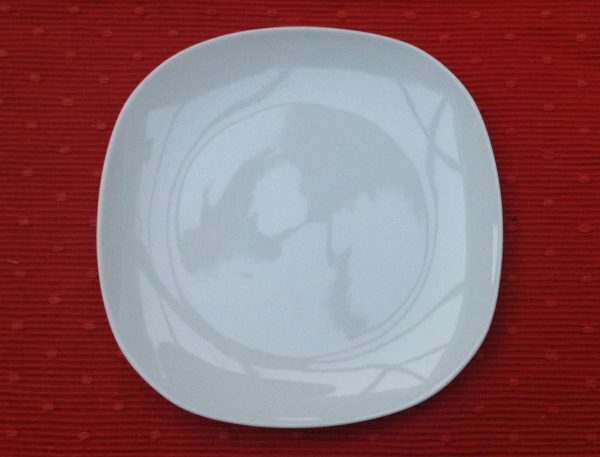 A squircular plate, for instance, can hold more food than a circular one of the same horizontal dimensions, but eliminates the sharp edges of an otherwise optimal square. Still, buyer beware: most products boasting the shape seem to be trading more on the word “squircle” than its actual geometry — you may have to settle for a stack of deformed roundrects instead. This is how road interchanges, and more importantly rail road curves are designed. When going from straight to a curved section, if the curvature changes abruptly, you’ll have a violent jerk to the side. It used to be a trade secret to have tables of the Euler spiral (https://en.wikipedia.org/wiki/Euler_spiral) so that rail surveyors could plan a smooth right-of-way. Great stuff! As a patent attorney, I often need to figure out the correct name for various shapes (or, if necessary, make one up). One of my recent favorites is the discorectangle (no, I did not make that one up). It’s a rectangle having rounded ends, and is also referred to as a stadium shape. There’s more details on a similar concept from an old Core77 article. I had to listen to the end of the podcast three times before my mouth hole would make the sound “squircle”. Have you noticed how Adobe InDesign – the rounded corner “squircles” are asymmetrical. if you draw a line at 45 degrees through the curve – then use that line as a reflection point – the 2 halves don’t match up the one that is on the clockwise side of the line has a weird distortion. Sunuvabitch! This is one of those things I could sense but couldn’t put my finger on. If drawing something on the computer I’d do the ‘ole radius corner but it never looked quite right and I didn’t know why. Cool article! Fascinating. As a designer, I feel like I should’ve known about this, but I’ve never heard the term “squircle” and would’ve thought they were just “roundrects” with higher radius corners. I have often been annoyed at the awkwardness of the point at which the radius meets the straight lines, though. I now know I don’t have to settle for that, which is very satisfying. But I do have to figure out how to make them.